Been catching Homeland and The Leftovers on television, finished reading The Black Company: The Book of the North and completed watching the last episodes of The Wire as well as the sixth season of The League. I don’t know whether this is just the plot du jour, or if Showtime is preparing for a final story arc and the series climax in the following season (maybe two.) Admittedly I hope for the latter, as Showtime has a tendency to drag on after the ecstasy of a great tale has worn off. Like Breaking Bad, shows of this caliber should end with an exclamation point, kill their darlings and never look back. 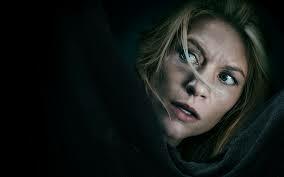 But HBO’s The Leftovers has managed to enthrall me, and even overtake my excitement for Homeland in just two episodes (I intend to see the third tonight.) After some comparisons of how HBO and Showtime manage their television, I’ve come to realize that Showtimes tends to be very protagonist centered, while HBO breaks up their story among various characters. The Leftovers, Game of Thrones, The Wire… HBO does a great job of never being too dependent on anyone cast member. But with Showtime, series like Dexter, United States of Tara, and Nurse Jackie tend to hinge around their central player and frequently risk fizzling when that character runs out of yarn or when the audience fatigues of them. Meanwhile, The League has definitely ground down. In many ways, the show can be compared to Seinfeld; the plot tends to pick up themes early and circles around to connect them (often ironically) at the end, while the characters are deserving snobs for whom we get a schadenfreude kick from seeing punished. Unlike the show about nothing however, The League has begun to recycle its humor and isn’t really adding anything new to the formula. Sure, there were a few moments of gold in the sixth season, such as when Andre was psychologically tricked into “punishing himself” for cheating. But the completionist in me is glad the series is ending. 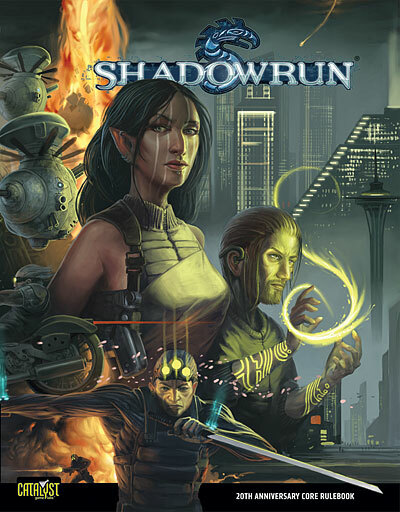 As if this all wasn’t enough of a mistake in the consumption of my spare time, I decided to begin another game of Shadowrun: Hong Kong. It’s not like I don’t have enough to do as of late. Three drafts await completion as it is; a military sci-fi piece, a post-apocalyptic story and a unique historical fantasy piece that I’d been researching for a few months. There’s also a novella that will be due before the year’s end and several technical projects that need my attention. But I’ve been pretty stressed. An hour set aside to finish anything is never enough. Sometimes people need to be reminded of what’s fun to remember why the labor is worth the effort. I actually finished my first campaign about a month ago, with an Italian elf shaman by the name of Bianca “Luna” Panzavecchia. With an emphasis of conjuring over spirit summoning and a focus on pistols, Luna was a great work-horse character. Her conjuring aspects surprised me greatly, particularly the barrier spells which I used to powerful effect… even going so far as to cheese the final boss. However, I put my first replay aside while I waited for a few patches to reduce the sheer of bugs. Manuel and I had been swapping some build ideas for new characters for a while. About a month ago I had a vision of a troll adept (think monk) because of a natural synergy for Strength, Body and Willpower, and an emphasis in barehanded fighting. I jokingly shook my fist at Manuel for running ahead to try my idea first, but I finally got around to trying the theory myself. A little karma distribution later and Charlie Shen, better known as Mó Chuí (magic hammer) was born. Shen hits like a semi-truck and can soak a fair amount of damage too. Downside to most melee characters remains consistent though; he’s frequently out of cover and tends to soak up a lot of damage. 50 then 60 HP and good armor will go far towards keeping him alive, but it would be best to keep a few emergency health kits on hand. One thing I have to respect about this title was the removal of… what we’ll call “paragon” dialogue. Basically, Mass Effect set a standard for characters where as you can be the ultimately goodie-two shoe or evil incarnate. Dragonfall offered dialogue choices which were much more “cool grey” in nature, but did give the player the option of being a total @#$hole whenever they felt like it. Hong Kong tends to be a little more mellow about that, though you can push buttons if you try hard enough. And that’s the road I’m taking Mó Chuí down. This entry was posted in Musings and tagged Homeland, Hong Kong, Shadowrun, The League, The Leftovers. Bookmark the permalink.